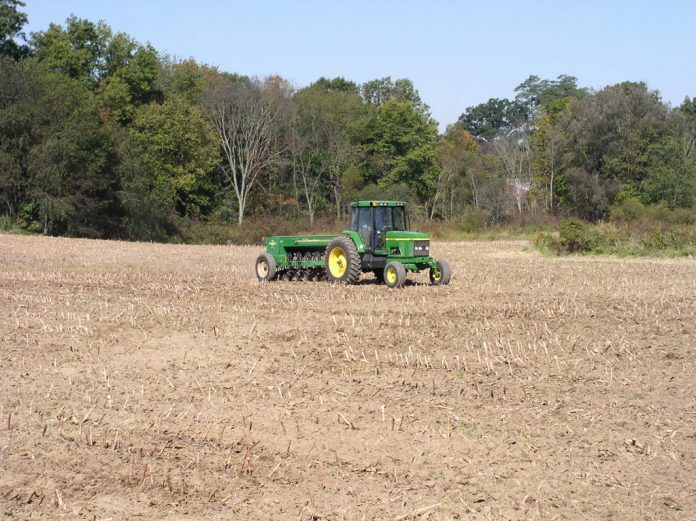 Keep your no-till planter rolling in the field until the last seed drops. Here are some tips and parts to check in an effort to prevent breaking down this year. The bottom of the toolbar should be 20 inches from the ground. Parallel arms should be horizontal. The whole planter should be level and not crooked. Move seed depth handle as far forward as possible, this will lay the seed on top of the ground. Tie closing wheels and seed firmers up off the ground. Then drop the planter and drive 20 or 30 feet. For a 30-inch row measure 17 feet and 5 inches. Then count each seed. Your seed count in 17 feet and 5 inches is how many thousand per acre you are planting. Do this two or three times and take and average. For 28 inch rows you should count the seeds in 18 feet and 8 inches; for 24-inch rows, count the seeds in 21 feet and 10 inches. A seed depth of 1 1/2 inches to 2 inches is ideal. In very dry conditions 2-3 inches would be best. Never plant at a depth less than 1 1/2 inches. The depth hand moved forward is shallow, moved back is deeper. Make sure each unit is dropping seed when starting each field. Closing wheels shouldn’t run in seed trench. You want to match rubber, cast or spike to field conditions. Align the coulter blade with the seed disc, do so by adjusting with shims. Check and adjust to field conditions. Grease depth wheel arm twice a day. Put 1 teaspoon of graphite in each hopper every 6 bushels, per row. Inspect the wire routing and secure as needed. Check the cables and connectors for damage or corrosion. Check the distance sensors, seed tube sensors and shaft rotation sensors.